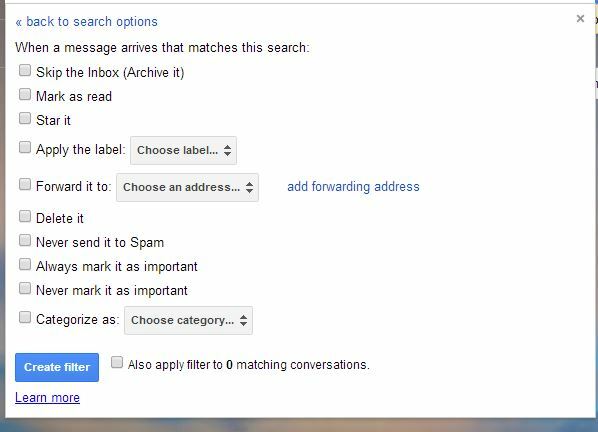 Use An Extra Character in Your GMAIL Address – Here’s How! There is a little known trick hiding in your GMAIL account. You can add in periods anywhere in the front part of your email address and they will deliver to you just fine. For example: Gmail handles [email protected] as the same as [email protected] or [email protected] Messages sent to you with any of these emails will reach your Gmail inbox just fine. You may discover that you can use a +sign to accomplish the same thing, however some email clients will not recognize a + sign and will not deliver those emails, so I have found it best to stick to using the . character. But the real question is why would you do this? The reason is that this gives you the ability to automatically filter your email based on the specific email address. The sky is the limit as to how you can use this capability. Here are a few ideas to get you going. Just create a special email address to use when you subscribe to newsletters or perhaps when you subscribe to those pesky advertising sites. Then you can automatically filter those emails to go to spam, or mark as unimportant or perhaps move those news emails to your news or other folder(s). You can also give those special people in your life a special email address that only they have. You can then set up a Gmail filter to mark those emails as Important which will make them standout from all the other email you receive, or perhaps automatically move them to a special VIP folder. You probably already have a separate email account for your job, but if you’re someone who has a small business or works from home, create a special work email and put this one on your business cards. Then when clients or prospective business contact you with this email, it will be a real time saver to quickly identify those important work emails so you can focus on those right away. The sky is the limit on how you can use this little trick.. have fun !